“Double-ender” comes from the pre-satillite days of television when two personalities would be recorded with audio and video in their separate locations and then the two videos later combined. Sometimes, they would even edit to make it appear as if the two personalities were in the same studio. 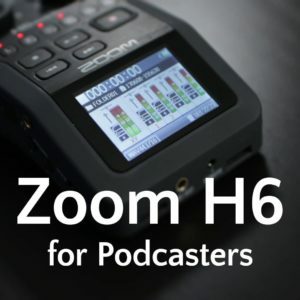 Although the technique is no longer used for television broadcasts, it still works great for podcasting when you want the highest-quality audio without bringing all of your hosts in-studio. Edit and export as normal! Maybe this is from when Maxwell Smart started podcasting. Amazon.com has a photo glitch on their Behringer B-1 Large-Diaphragm Cardioid Condenser Mic. Read the funny reviews and post your own (share them here, too). When you combine Google Voice and Gmail, you can make free computer-to-phone calls right within Gmail. This has been free for 2010 and Google announced it will be free for 2011. I'll talk more about this in a future episode, but it present another free way to bring in live phone calls for your podcast. We're happy to have Jason Rennie join Noodle.mx Network with his podcast that connects the Christian worldview to the everyday. Subscribe to Christian Meets World™. I'm a first time listener and DELIGHTED TO HAVE FOUND YOU! I searched for a podcast to teach me how to use Audacity and yours is wonderful. My co-host is in Portland, OR and I"m in Jerusalem, Israel. We've been using BlogTalkRAdio because I didn't know how else to record us both. Now I'm going to try what you've recommended and I totally appreciate your kind and careful explanations. Much needed! Wishing you continued success in your many endeavors, and so happy to be along for the Podcast ride! Thanks, Ronda! Israel to Portland? That's awesome! 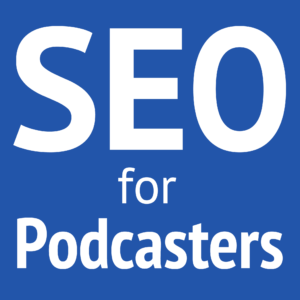 What is your podcast? It's going to be a parent education program for familiies with kids in Montessori schools… <a href="http://www.montessorifamilyconnection.com” target=”_blank”>www.montessorifamilyconnection.com . The podcasts are now the teaching sessions, but eventually we'll have live and recorded Q&A sessions. BTW, where do I see the video versions of some of the things you've been teaching, when you mention to see the screencast? When I mention the video, it would be embedded in the shownotes. But it comes from Ustream.tv and is a Flash video, so you could have an Internet filter blocking Ustream.tv, or Flash isn't loading. But I usually try to just have screenshots of things, since screenshots are easier to see no matter your Internet situation. Another tip to help with double-enders is to do the whole clapping routine at the end. I have found that sometimes there are slight recording speed differences (a couple of seconds off over a 20 minute conversation). By clapping at the end you give yourself a chance to see how far off the two recordings are so that you can make micro adjustments throughout the recording and it never gets really far off. Great tip! I hadn't thought of that. Found this podcast thanks to the Podcast Awards. Though I don't use Audacity, I love the content I've sampled so far! Thank you, Tim! 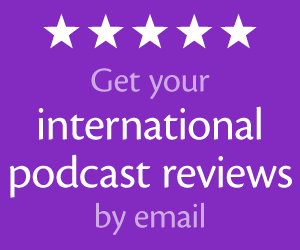 I'm honored to have you listening now. Skype + Audio Hijack is easier and quicker. Easier than hacking around, yes. But I would say that a dedicated Skype-recording software would be easier than Audio Hijack Pro or Soundflower. I know this is an old blog, but would you still recommend running Audacity to record your half of a Skype call? I have two hosts running Win 7 and recording in Audacity, but they find that in addition to their own audio they are getting a faint recording of the other hosts. One is using a headset combo, one is using a Rode ProCaster Mic and Sony Headphones. Yes, Audacity is still free, accessible, compatible, and fairly easy. The crossover you’re getting is from headphone leak. Get your cohosts to lower their headphone volumes, get better mics, get better headphones, or pan your audio to the ear farthest from the microphone. I just recorded on Audacity with my co-host in N. Carolina (I’m in California), and she sent me her .wav file. Both tracks sound clean, but hers is compacted and doesn’t match up with mine. When I am talking her track doesn’t seem to have the pauses and her track ends up talking over mine. The time on mine is 7:30, but hers is 6:30. I have no idea why. Am I stuck with a ton of editing or is there a way to get her track to match mine? Did we make a mistake while recording? It’s our first time. Thank you for any help/advice you can give.